Cal Phipps is a late bloomer when compared to the younger drivers he competes against on the H1 Unlimited hydroplane racing circuit. He began racing H1 Unlimited hydros when he was 41 years old. Now 49, Phipps is not your ordinary, everyday run-of-the-mill hydroplane driver. Phipps didn’t grow up towing a plywood hydroplane with a string attached to the back of his three-speed Schwinn bicycle. He wasn’t dragged to outboard races on weekends as the family raced. As a kid, he didn’t dream of being the next Jim Kropfeld or Chip Hanauer. Phipps was just an ordinary boy growing up in Detroit, always competing against the neighborhood kids in anything they did. Whether it was football or mini-bike racing, Phipps learned at an early age what competition is about –winning was everything. His H1 Unlimited career began in 2008 as a part-time crewmember for Dave Bartush’s U-13 and driver J. Michael Kelly. “I wanted to learn as much as I could about turbine engines,” he said. He also applied his trade as an auto-body mechanic and ended up replacing the bottom of the boat after it sustained major damage in Evansville that year. As a reward for his hard work, Phipps was allowed a test drive at the Tri-Cities race, and in his first-ever laps in an Unlimited, he turned consistent 155+MPH laps, only 3MPH behind Kelly! In 2010, Phipps became the team’s rookie driver. Right out of the box at his first race he was fourth fastest in qualifying and later at the American Power Boat Association’s Gold Cup he finished his preliminary heats with a second and third place finish. 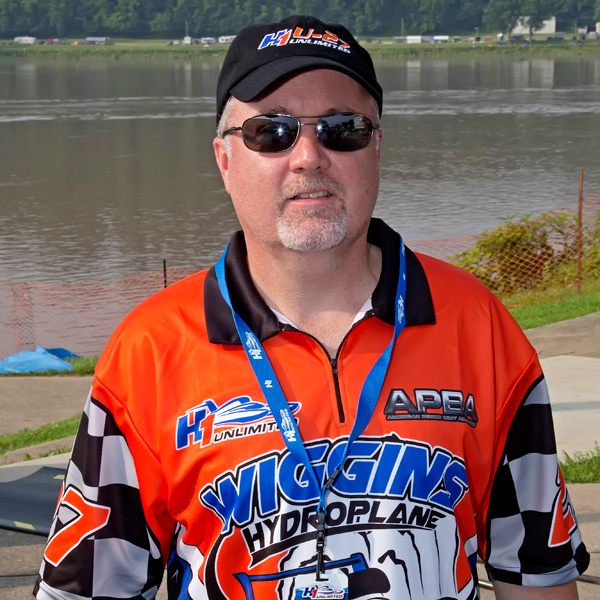 In 2011, after the U-13 team decided to take a year off, Phipps drove as a substitute driver for the U-17 Miss Red Dot where he finished forth in the APBA. Gold Cup. He drove on and off for several teams until he landed with his current team, Wiggins Racing in 2015. The team decided not to race last season after taking part in an exhibition in Alabama. Five of his 10 preliminary heat wins have been on board the U-27 Chase Building Group unlimited hydroplane. His best finish came in 2014 when he came in second during the San Diego Bayfair race driving the U-7 Graham Trucking. Phipps is eager to apply his astute study as a driver and expert boat set-up technician on the U-27 Chase Building Group hydro in 2018 and show the other drivers that wisdom is an important part of racing. The 2018 race season is Phipp’s seventh season in the cockpit of an unlimited hydroplane and his third with Wiggins Racing. His major goal is to win the APBA. Gold Cup on the Detroit River in front of his nearby hometown Sterling Height friends and family. Phipps got his start in boat racing late in high school. His neighbor raced remote control hydros and then bought an inboard hydroplane. Phipps, who was always tinkering with cars trying to make them go faster and fixing them up while working in a body shop, decided to help on the boat. Finally, in 1993, Phipps was asked to drive a 1-litre hydroplane. Already a racer, he obviously fell in love with driving. He ended up buying the boat and won regional and national races along the way. He continued to learn as a driver and eventually moved up to the 6-litre powered hydroplanes, where he went undefeated in 26 straight heats of racing. When he wasn’t driving, he also spent time crewing on other classes of hydroplanes. He advanced to drive the more powerful Grand Prix hydroplanes, where he learned about power-to-weight ratio as well as skid fin and rudder set-ups. Other owners began to see the value Phipps could bring to their team and would ask him to substitute as their driver. He would drive the boats, give advice, and give the boat back to the regular driver. Phipps has also applied his knowledge learned in the auto-body shop and today works as a paint color coat technician at PPG Industries and lives with his wife in Avon Lake, Ohio. 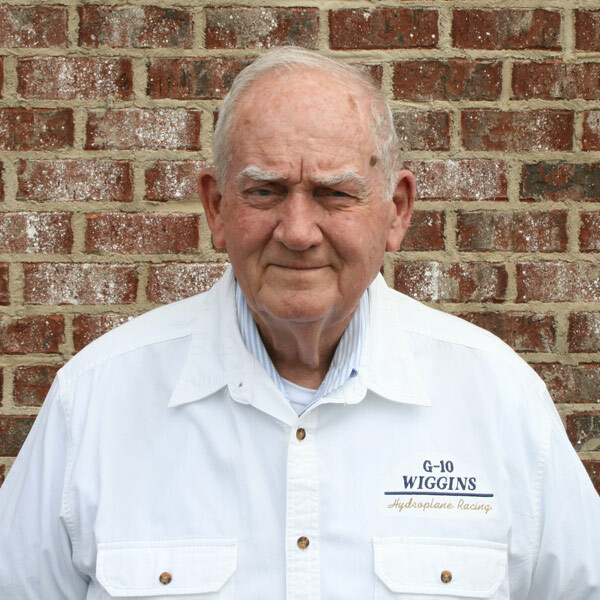 Wiggins Hydroplane Racing Team is based in Rainbow City, Alabama and is owned and managed by 60-plus year racing veteran Milton Wiggins, who started his racing career when he was 18 years-old in the Pro Outboard division. Wiggins drove boats with great success for many years, later introducing his son Charley to racing at the age of 14 and his nephew John as well a few years later. Over the years, the team has owned and raced in many different inboard classes from 1-Liters to Grand Prix Hydroplanes, at times campaigning as many as three boats. The team has most recently been competing in the Grand Prix class with a race hull built by renowned builder Ron Jones Jr., who is a third generation hydroplane builder. In February of 2015, Wiggins struck a deal with Nate Brown and the Our Gang Racing Team to purchase their U-17 H1 Unlimited Hydroplane. The newly numbered U-27 Wiggins Team made their Unlimited debut in 2015 with Cal Phipps in the cockpit. Having grown up around boat racing and playing in his father’s outboard boats in the garage, Charley Wiggins roots and future in hydroplane racing may have been as embedded in him as much as the unmistakable and for him -the unforgettable smell of burnt methanol and Castor Oil from his father’s outboard hydroplane motors. Wiggins watched his father Milt move to the inboard category and race 2.5 stock, 2.5mod and 7 liter. During those years he grew up watching great inboard drivers like Jim Kropfeld, Steve David, and Mark Tate, just to name a few. At 14 years-old Wiggins started driving a 1 liter stock hydro which marked the start of a 17 year driving career. Wiggins enjoyed success in 1 liter stock & mods, 2.5 stock & mod, Grand National Hydro, and Unlimited Lights. In 2000, Wiggins got his dream chance to drive the U-6 ‘Miss Madison‘ but after being hurt in the Madison boat the first race and a blow-over two weeks later in Detroit in his Unlimited Light hull, Wiggins made the difficult decision to step away from driving. After a two year break from boat racing Wiggins and his father decided to go racing again, but with a different driver in the seat. 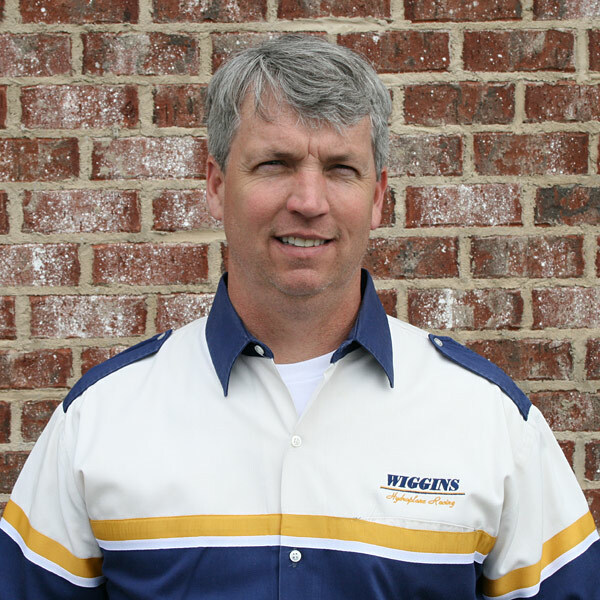 Their first choice to replace Wiggins as driver was none other than Cal Phipps. Over the last 13 years, Phipps as the primary driver, the Wiggins’ have competed in the Unlimited Lights, the newly formed “G” class and the Grand Prix Hydroplanes. With Wiggins shifting his focus from driving, he has endeavored to learn more about hull setup, engines, gearboxes, propeller and composite fabrication. He has spent significant time studying engineering material available on all of these subjects and leaned on hydroplane experts like Ron Jones, Sr. and Jr., Dixon Smith, Nate Brown, Tim Ries, Dale Van Wieringen and Doug Ford to gain as much knowledge as possible. Over the last eight years Wiggins has focused on expanding their in-shop composite fabrication capabilities to support their Unlimited hydroplane racing ambitions. So in 2015 Wiggins Racing purchased the former U-21 Unlimited Hydroplane from long-time driver and owner, Nate Brown and moved the operations from the Seattle area to Alabama. Wiggins, being a perfectionist by nature, believes strongly that in racing “successful performance is directly related to proper preparation and that it’s important to ‘sweat the small stuff’.” As the 2016 Unlimited season starts, Wiggins will lean on 18 years of driving experience and 21 years of race hull preparation to try his hand at crew chief of the Wiggins U-27 Unlimited Hydroplane. Occupation: Owner – Chase Building Group, Inc.
Education: B.S. in Building Construction, Auburn Univ.